← Nursing Journal Editors’ Conference in San Francisco! As someone reasonably steeped in two of the oldest hermeneutic circles: Mathematics and Philosophy, I find this really disturbing and even anti-intellectual. I had the same thoughts when a friend sent me a recent commentary from the Journal of Nursing Scholarship. Sometimes there is simply a best, most optimal, most concise, and least ambiguous manner in which to express a thought. All other efforts to express the same idea are less useful, more ambiguous, and flat out wordier. Pick up any of hundreds of textbooks in mathematics and meta-mathematics and you will see hundreds of Propositions, Theorems, and Proofs that are word for word the same as all the other books. In fact, many times 50%, or more, of each book is repeated in most of the other books. If I cite Author X (1993) as the source, it is a fiction that may appeal to journal editors who know nothing about mathematics or meta-mathematics but the absurdity of the citation would be obvious to any reader who has read any other mathematics book on the same topic. Author X (1993) is not the source at all. Nobody even knows for sure who the source was – well not entirely true, Gauss is probably the correct source because he was responsible for almost all modern mathematics of any note, but Author X absolutely was not. But even Gauss benefited from the work of thousands of mathematicians before him that paved the way for his prodigious work. As well, unless an article is flat out dull and uninspired, the content should probably be published in numerous journals and fields whose readership form essentially disjoint sets. For example, suppose I write an article on my favorite topic: Professional Caregiver Insurance Risk. I can present the argument at a really low level, perhaps aiming at a local State Nurses Association newsletter. Or, I might do an article for a Journal specializing in high end articles on Probability Theory. The difference would be that I won’t have a lot of equations, discussions about Affine spaces, Borel sets, and Bayesian methods in the newsletter and I certainly won’t discuss Risk Induced Professional Caregiver despair in the Probability Theory article. The reason to cite references is multi-fold: Give credit where it is due – often difficult to do because sometimes we have the same ideas as other people whom we have never met or read, other times we have been exposed to the same idea through many different people, and some times it is just flat out a waste of limited space to cite every nuanced idea. Readers of State nursing association newsletters, other than me, are not likely to pick up journals in Probability Theory and readers of journals in Probability Theory are not likely to pick up State nursing association newsletters. What possible difference could it make to the bulk of readers whether large tracts of texts are identical in these two different fora? What possible intellectual harm is done by using the best version of the explanation in different articles whose readership are as foreign to each other as nuclear physicists and fashion designers? The point of publishing is to give readers a chance to see something novel, new, interesting, unexpected, and potentially paradigm shifting. Instead, this banal focus on nit picking of this sort makes the entire process of getting information out 1,000 times more tedious than it needs to be. Our nursing journals are filled with articles that have meaning only for their authors, the virtually totally enmeshed editors and reviewers that selected them for publication, and for a very small group of readers who never thought about it before. Most readers have thought about the content in these banal articles before, may even have written nearly identical articles, with slight differences in terminology, somewhat differently nuanced assumptions, data analysis, and conclusions and recommendations, but the bulk of material in thousands of different nursing periodicals is basically uninspired and uninspiring. 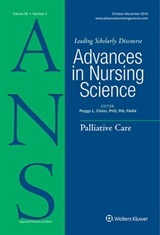 Correcting the real problem – a lack of articles that fundamentally alter the way nurses think, view themselves, their workplaces, their practices, and alter the way health care is managed and delivered ought to be a more important goal than using the text processing and matching capabilities of super computers to identify instances in which the same paragraph is used for the obvious reason that it is the best way to express the thought. We can and should do better! By phrasing it differently I delivered a less perfect statement – not intentional, though it certainly does help driving home the point that sometimes there is just a best way of expressing a thought and it ought not belong to anyone.